We got a hefty amount of snow a couple weeks ago. I always love the first good snow of the season. 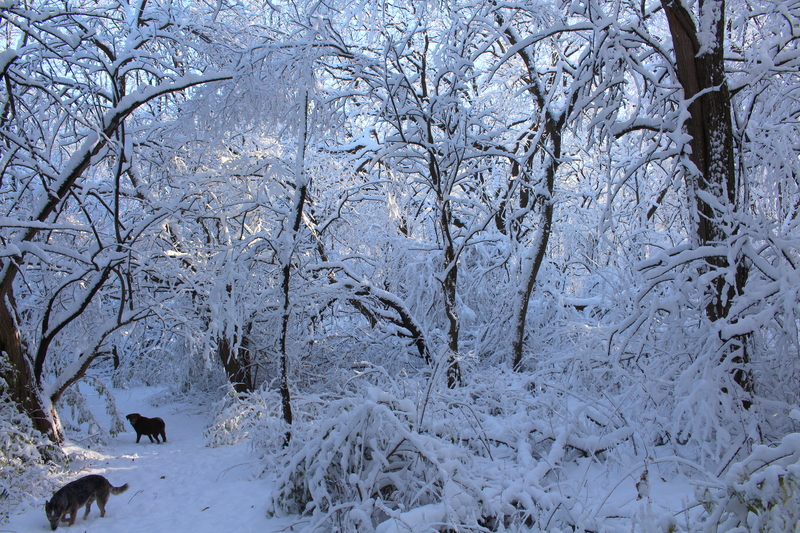 We woke up to beautifully covered trees. 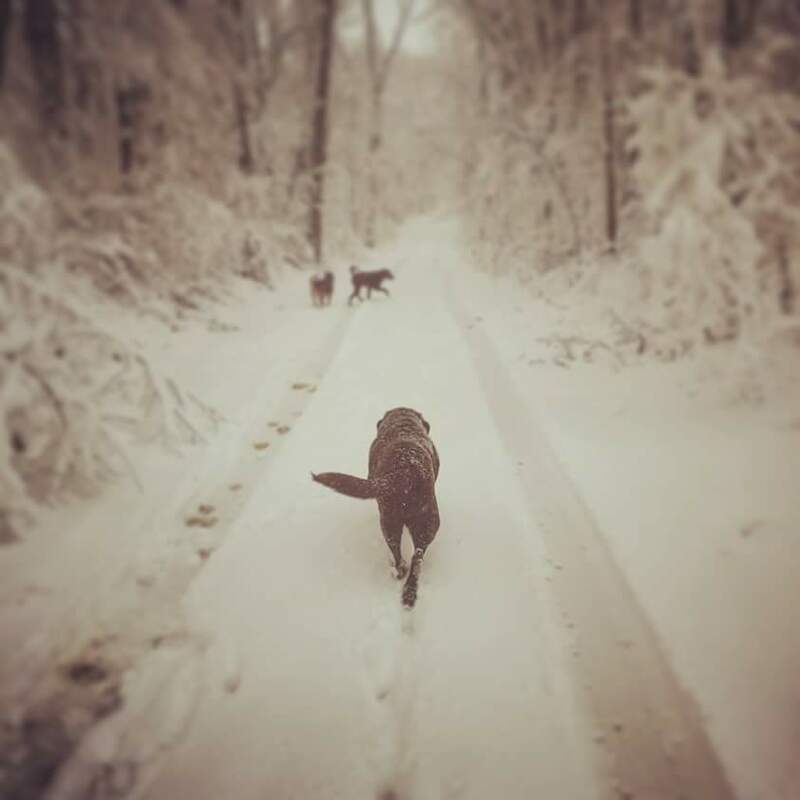 After I got the wood stove going, I bundled up in my Carhartt overalls & snow boots & took the pack for a walk through the woods. It was seriously like walking into a fairy tale. Sounds silly, I know, but it was so gorgeous. 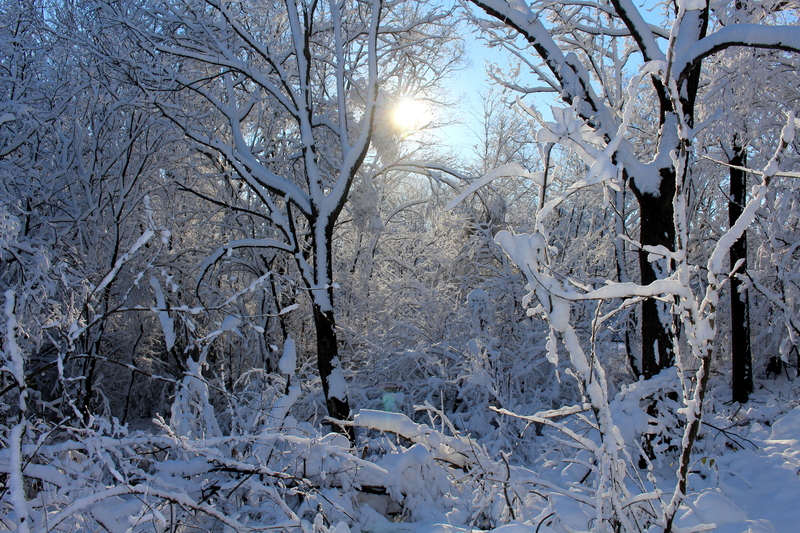 I love the silence of the woods after it snows. It’s like everything is sleeping. Pete & Jetty were having a ball.